I was given a slow cooker as one of my Christmas gifts, having never owned one before, I just had to test it out with this recipe. 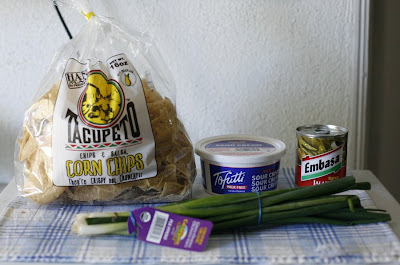 This recipe requires very little work..just some roasting of the chilies and cooking the boca crumbles. Then you simply pour all the ingredients in the slow cooker and walk away until its ready. You can also cook this over the stove but the flavors won't be as intense. Everyone should try out this recipe, I promise you won't be disappointed. 1. 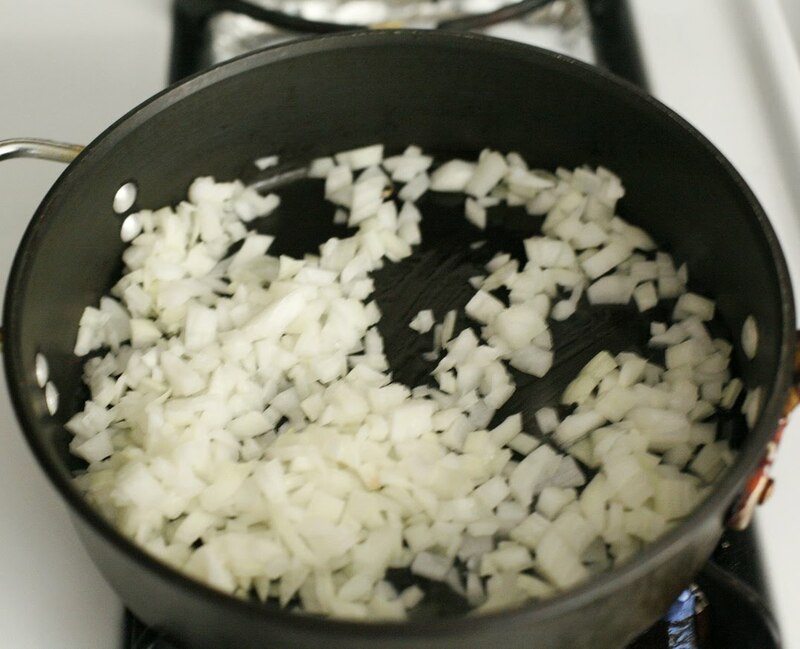 In a medium sized skillet, add the oil and heat over medium high heat. Add the onions and saute for 4 minutes, stirring occasionally. 2. Add the soy ground crumbles and the taco seasoning, mix well. Cook an additional 5 minutes, stirring occasionally. 3. 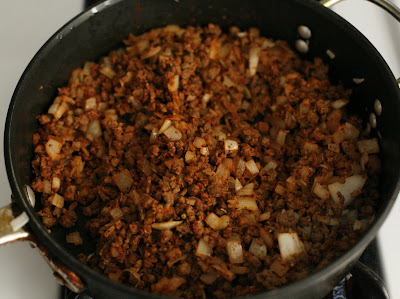 Transfer the soy ground and onions to a slow cooker or a large stockpot. Add the beans, corn, tomatoes, anaheim chiles. 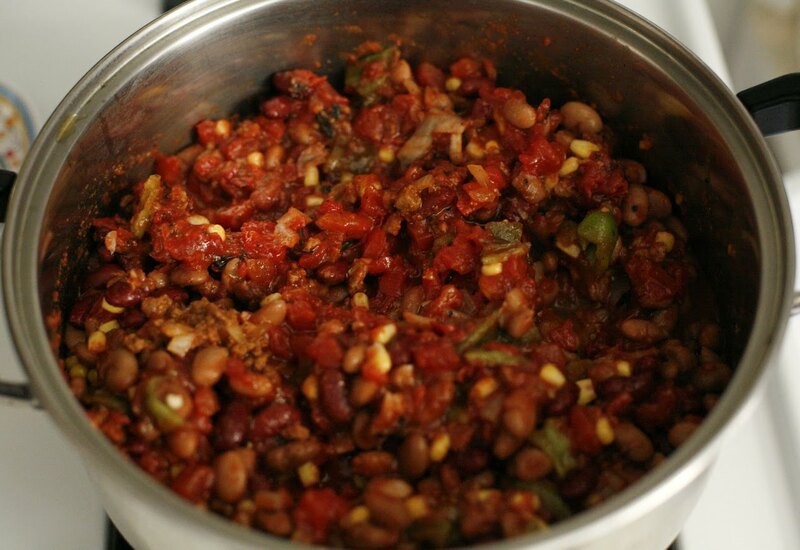 Cook on low in a slow cooker for 6 to 8 hours or simmer over low heat for 1 hour on the stove. 4. To serve, ladle soup into six individual bowls. Top with sour cream, cheese, green onions and jalapeños. Serve with tortilla chips on the side. sure looks great...it would be good to eat on these cold days. Looks like a perfect bowl of chili. Nice and chunky, just like I like my chili. What other plans do you have for your slow cooker? 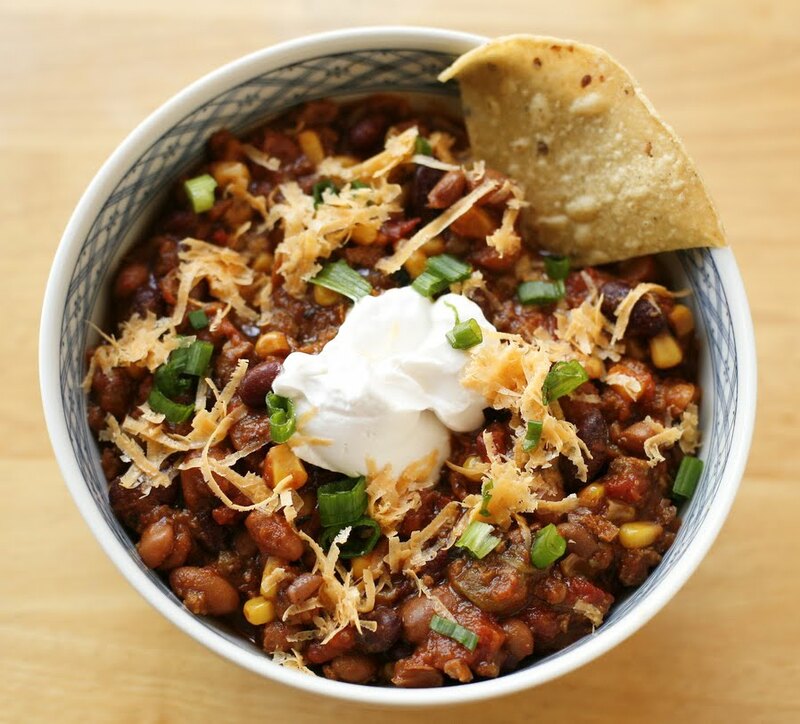 I love Mexican food, and I love chili. Put those two together, and I smell a winner! this chili looks AMAZING! i definitely plan on making it sometime over this winter break! Tender Branson - I have so many plans for it! I already made some more Pulled BBQ Jackfruit sandwiches and I made some Jambalaya today..I'll post that tomorrow. I just want to cook beans in it and lots of different types of stews. Yum, I love slow cooker recipes! 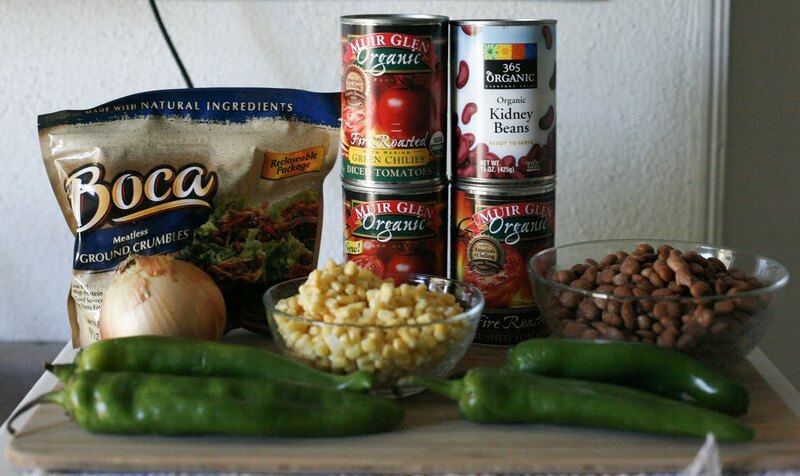 oh, I need a slow cooker- that looks delicious & easy- love your gorgeous kitty's face in the header, too cute. Ooh, that's one thick, rich looking chili! It almost looks like it was designed for chips and dipping, no?! Ooh, and I love that you used fresh anaheim. Yummerz...! Vko - Yes, get one. I waited too long. They're so cheap. I love your kitty's face too! Beautiful cat!